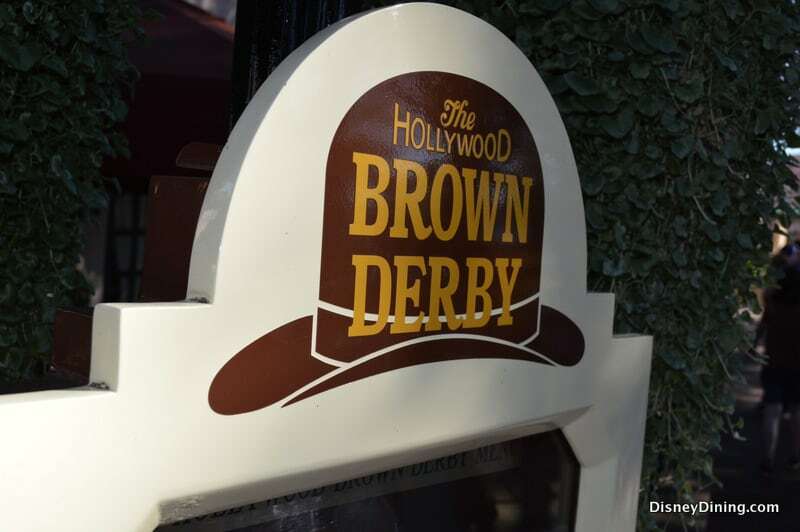 The “Hollywood Brown Derby Lounge” will open on the patio in front of The Hollywood Brown Derby Restaurant on October 30th, 2013. The Brown Derby is located in Hollywood Studios theme park in Florida. Reservations will not be available and seating will be on a first come, first served basis. In addition, The Disney Dining Plan will not be accepted at this location. However, Tables in Wonderland discounts are available. Guests can select from a variety of food items, including Brown Derby Sliders, Duck Confit Tacos, and Brown Derby Shrimp Cocktail. Lounge guests can select from a wide selection of drinks, including beer, wines and specialty cocktails. The best news yet might be that guests can also order from the FULL Brown Derby Menu! Disney Dining is super excited to check this out! tell us what you think.